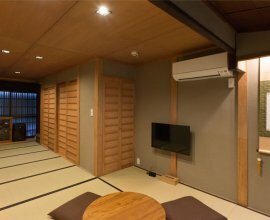 Kakishibu-an perfectly embodies all aspects associated with a kyo-machiya while offering a new take on this traditional house. 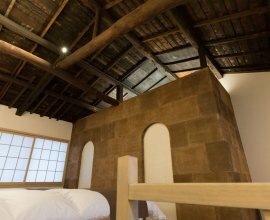 From the main Shijo-dori street, turn down Goko-machi street to find yourself within an atmosphere brimming with history and tradition. 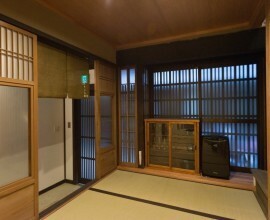 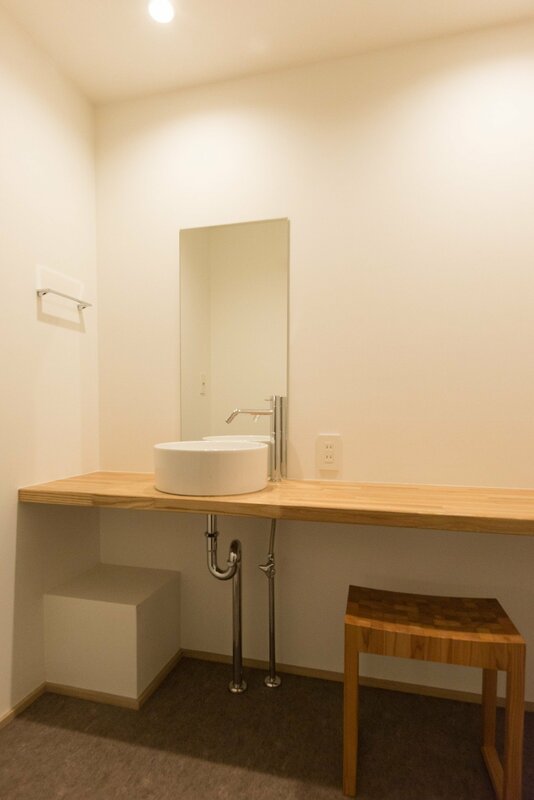 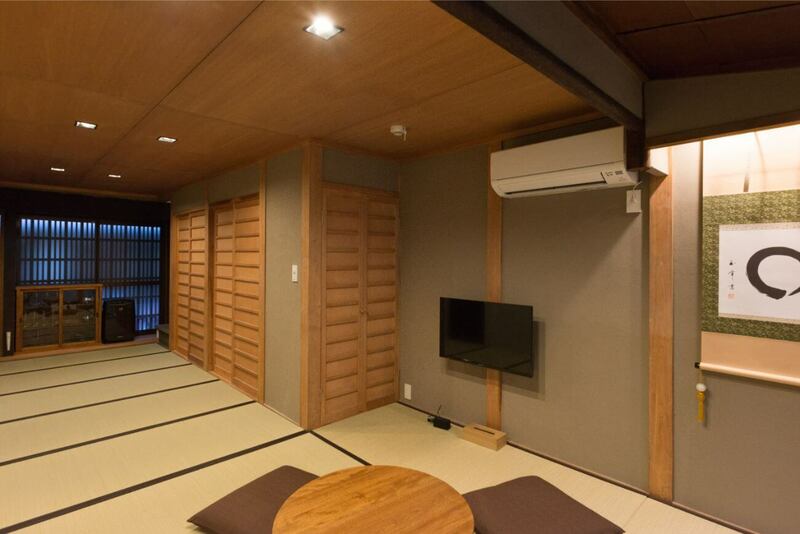 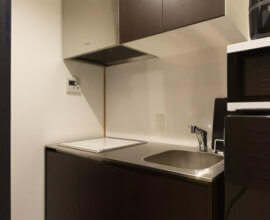 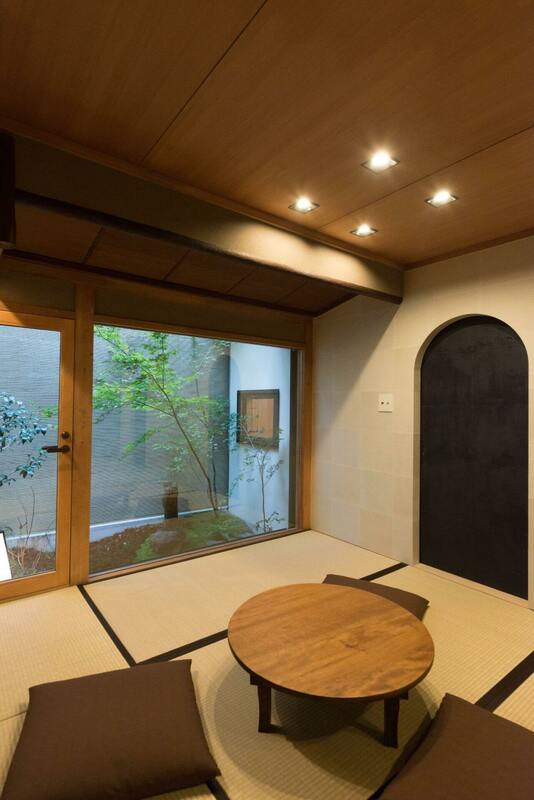 This particular machiya is located within walking distance of numerous sightseeing attractions, and Kyoto City's lively entertainment district. 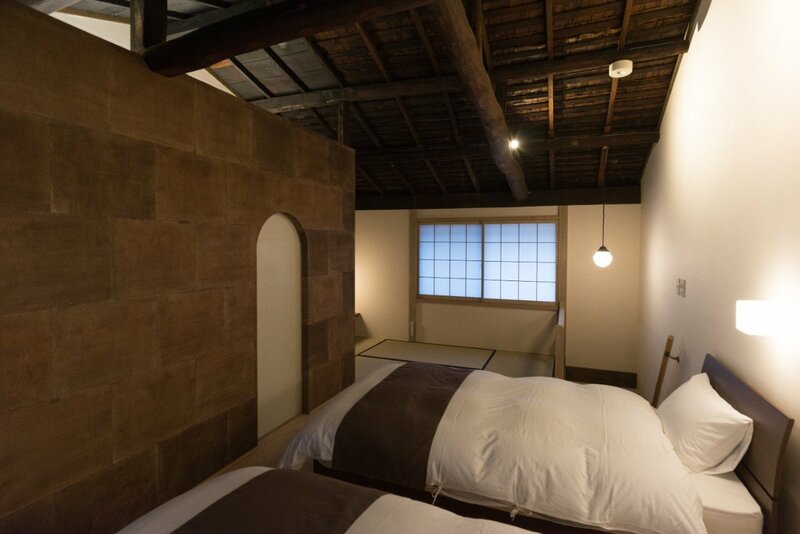 Featuring a window that takes up the entire length of one wall on the 1st floor, you'll be able to enjoy the changing seasons of Kyoto in your tsuboniwa garden no matter what time of the year you visit. 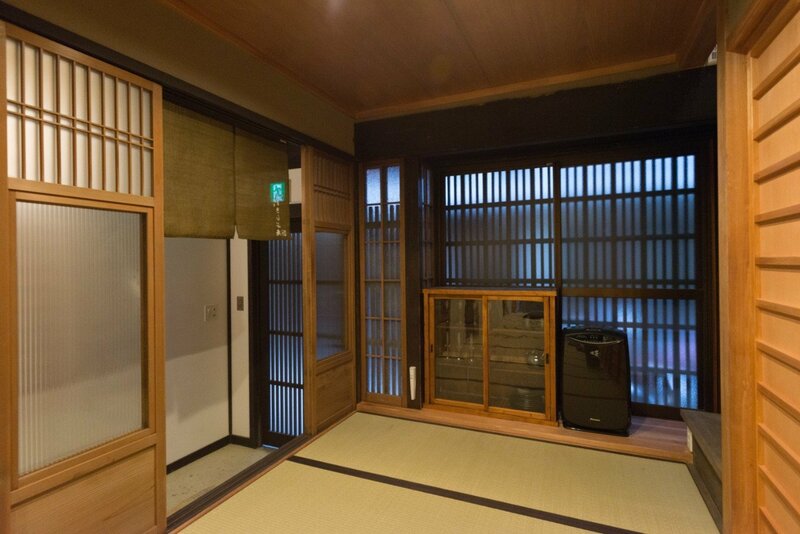 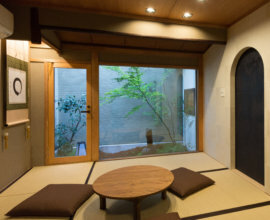 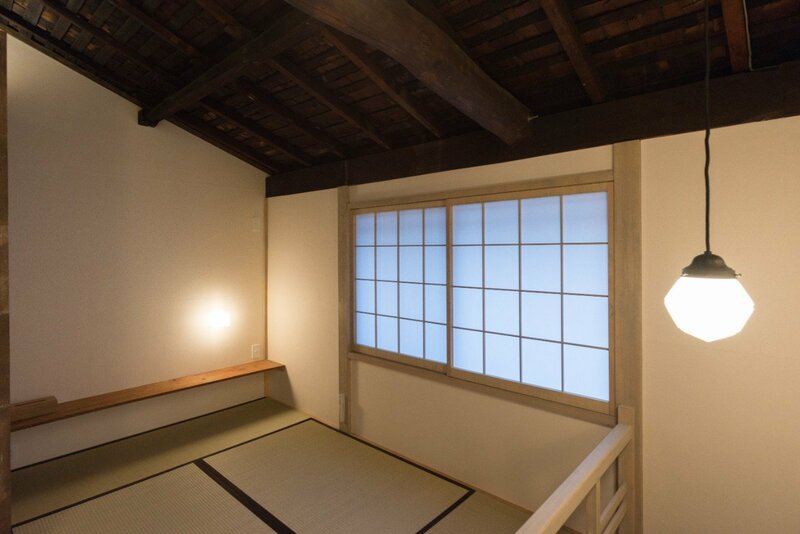 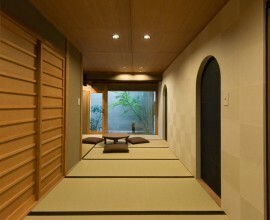 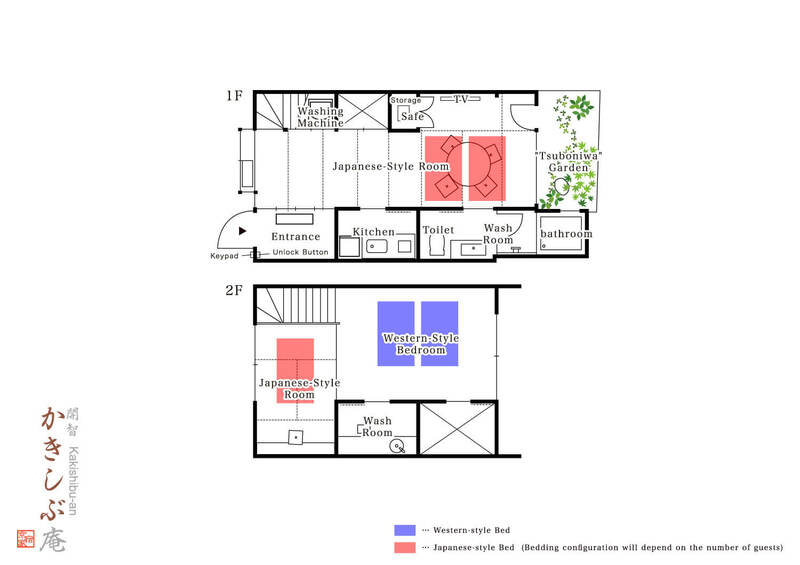 "Kakishubu-an" is a machiya house that exudes tranquility set to transport you a world away. 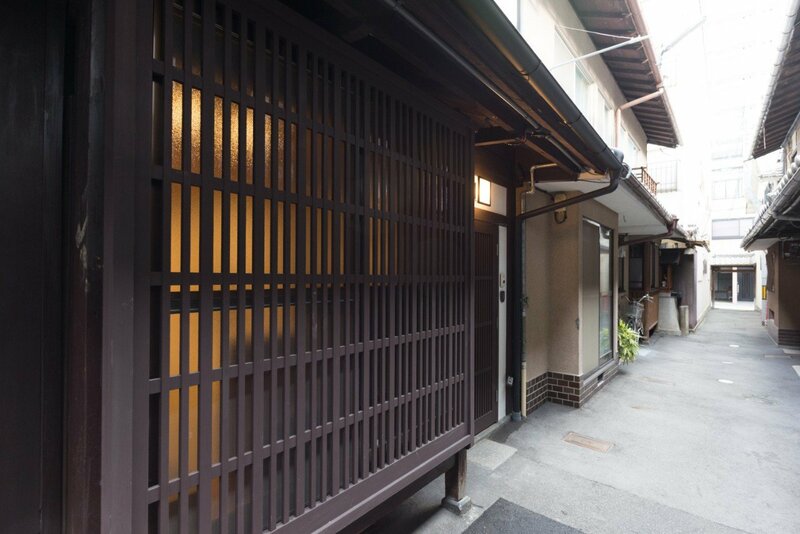 Elegant machiya Walk down a narrow alleyway tucked away in a bustling neighborhood to find a machiya house with dark wooden lattice windows and doors and contrasting white earthen walls. 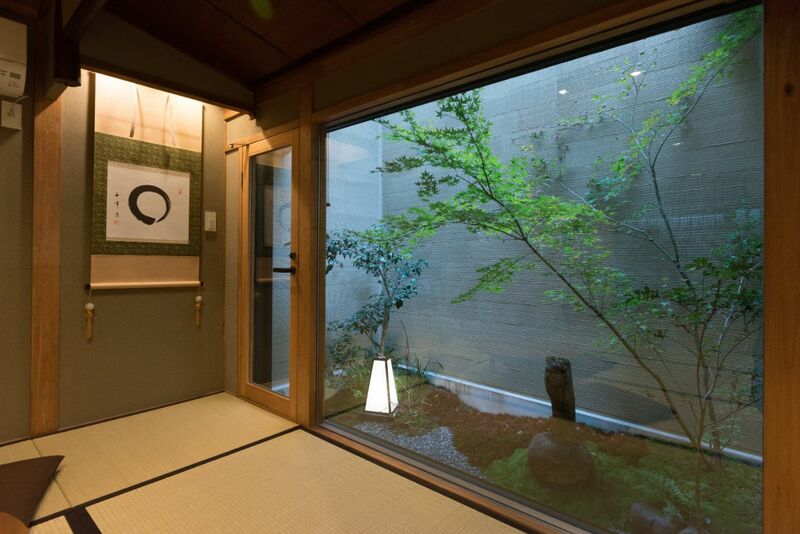 'Tsuboniwa' garden The Japanese living room has traditional tatami flooring and a view of the stunning inner garden featuring moss, stones and a Japanese maple tree. 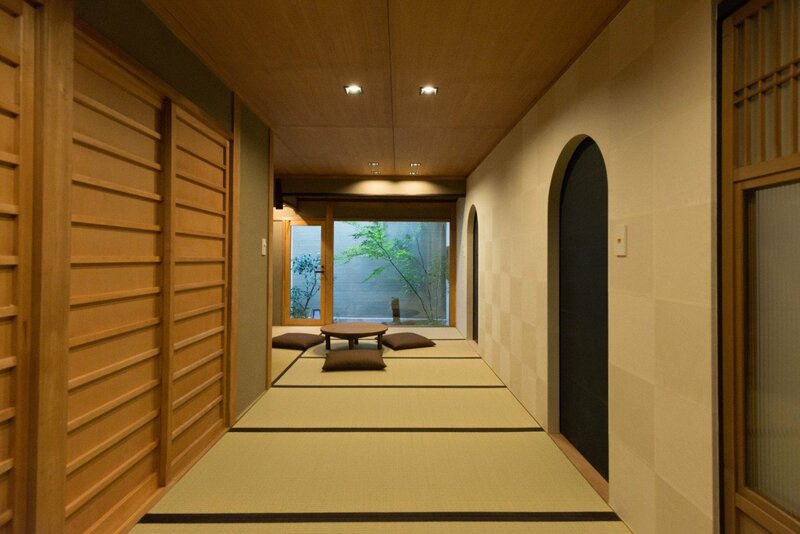 Enjoy a sense of serenity here. 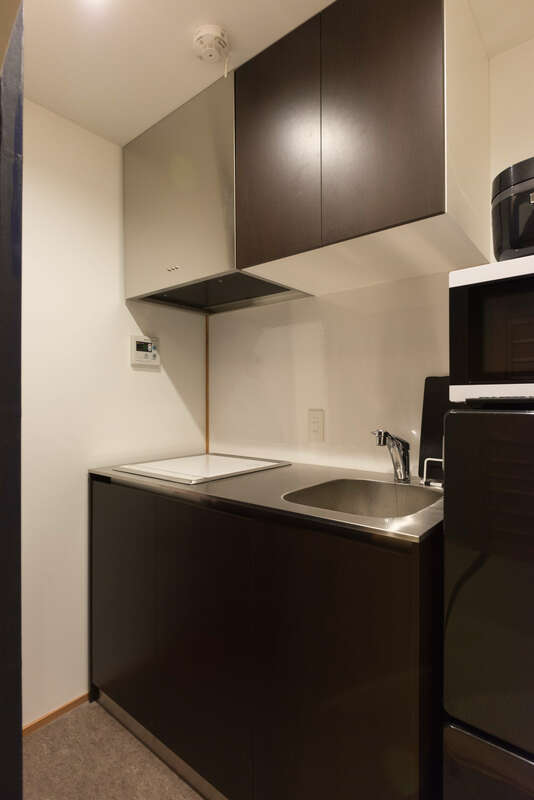 Kitchen Behind the wooden sliding doors adjacent to the living room, find a furnished kitchen with daily-use appliances, cookware, and dishes and cutlery. 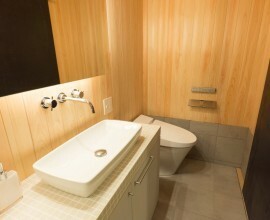 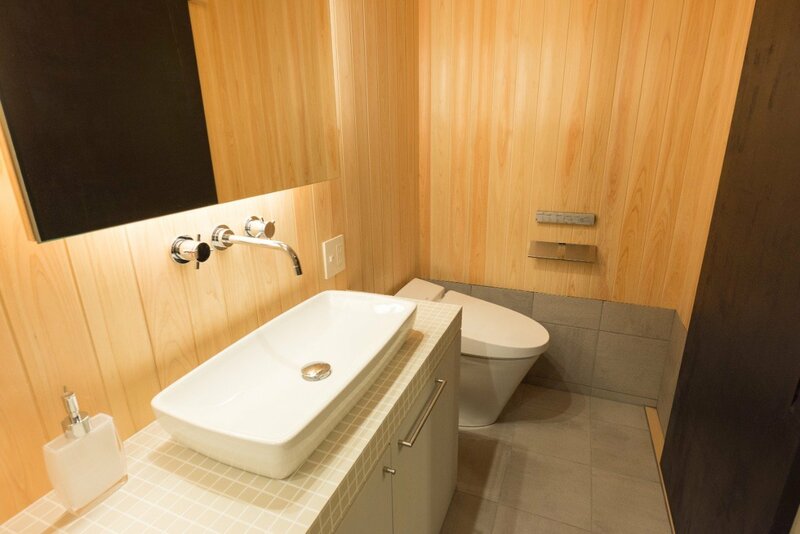 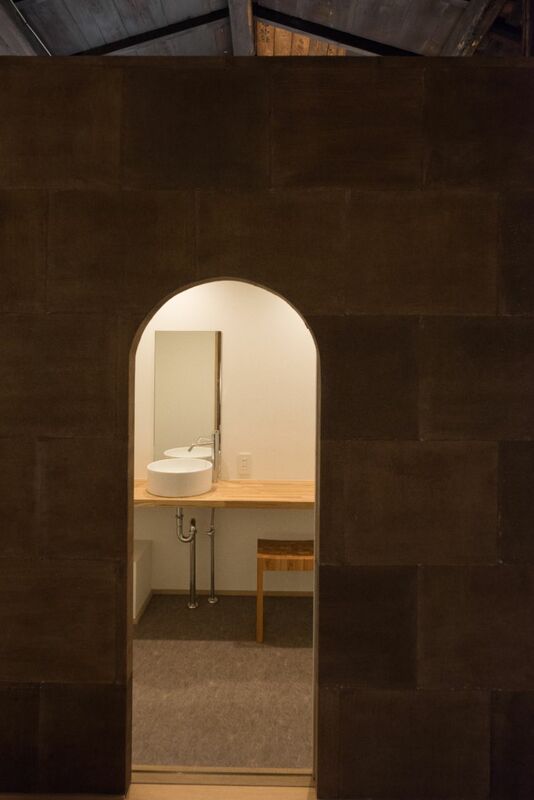 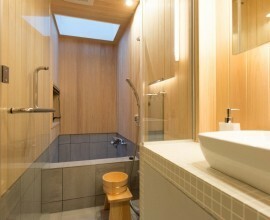 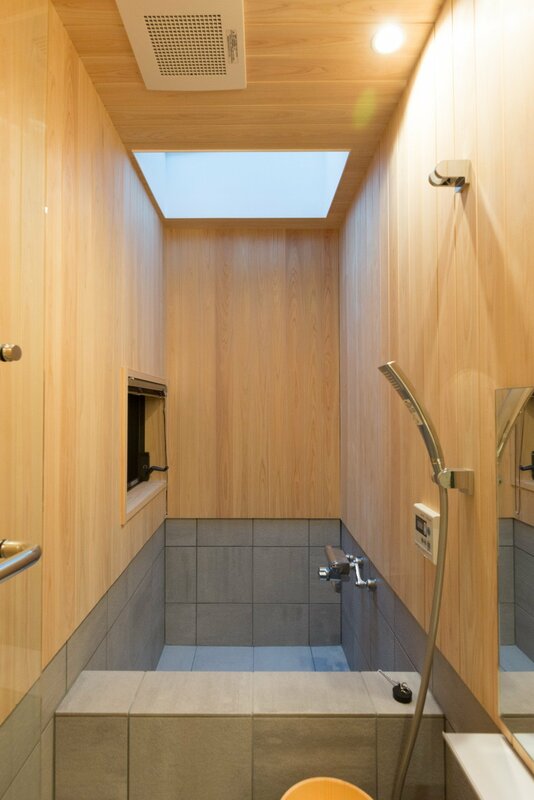 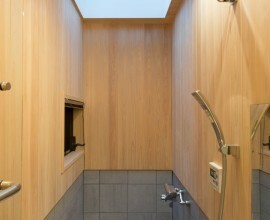 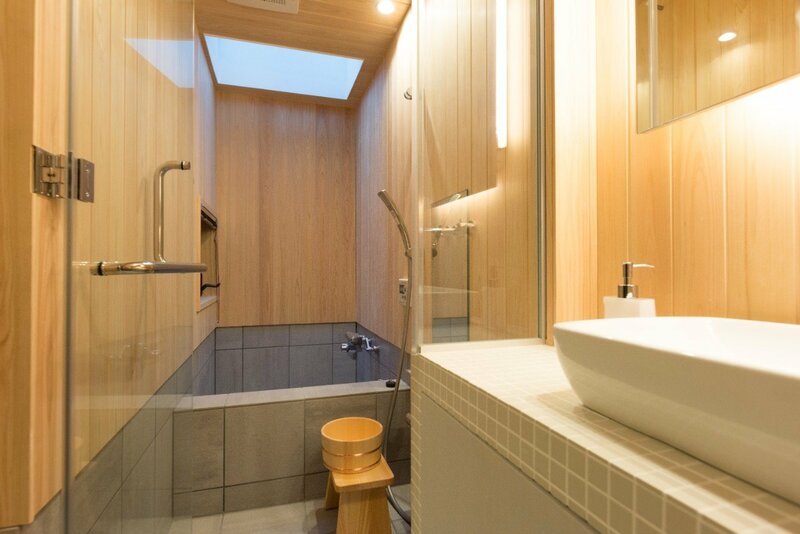 Gorgeous bathroom Surround yourself with aromatic 'hinoki' wood, a Japanese cedar that promotes relaxation and healing. 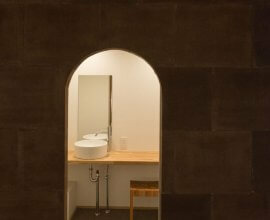 As it grows only where the water and air are pure, it holds a sacred place in history. 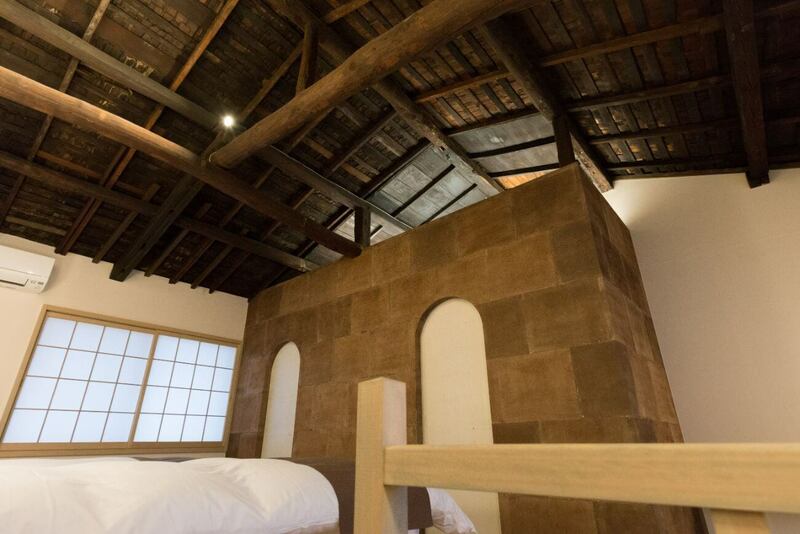 Western-style bedroom With an open space that reveals large wooden beams and a slanted, exposed ceiling, appreciate the craftmanshop of the ‘kokerabuki’ shingled roof. 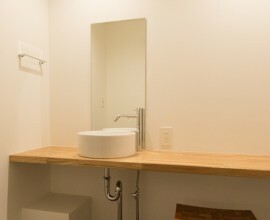 A restroom is also found here. 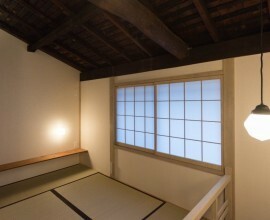 Japanese-style loft Walk up the stairs to find a Japanese-style loft area just adjacent to the Western-style bedroom. 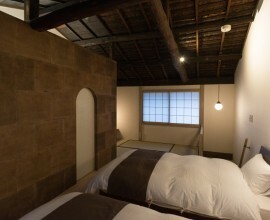 Rest wonderfully in cozy futon bedding on the soft tatami flooring. 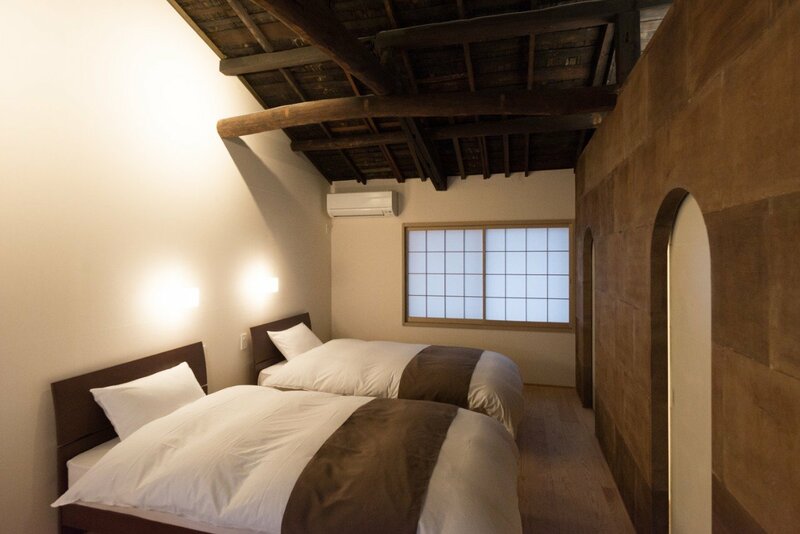 "Kakishibu-an" is a 3 minute walk from the city's best shopping and dining experience, and a 10 minute walk from the popular Gion area. 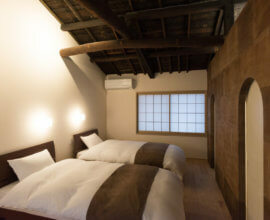 Shijo-Kawaramachi, Kyoto's exciting shopping and dining district, you'll have easy access to everything you need during your stay. 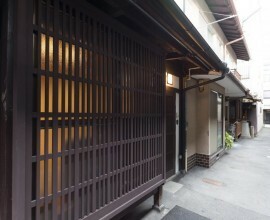 Find Gion and Nishiki Market within easy walking distance from home. 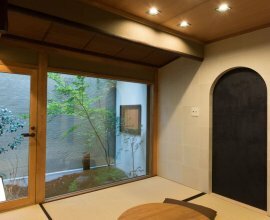 Take the train north towards the many modern museums, which showcase numerous art exhibits, fascinating Manga Museum, and more. 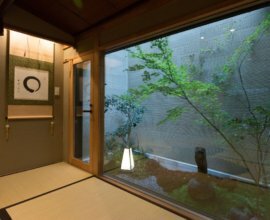 Cuisine in Kyoto is not just traditional -- in addition to the well-known kaiseki course meals, you'll find modern takes on Japanese cuisine using only locally-grown vegetables, fusion of Japanese & Western dishes, casual dining food with a Kyoto-twist, and more. 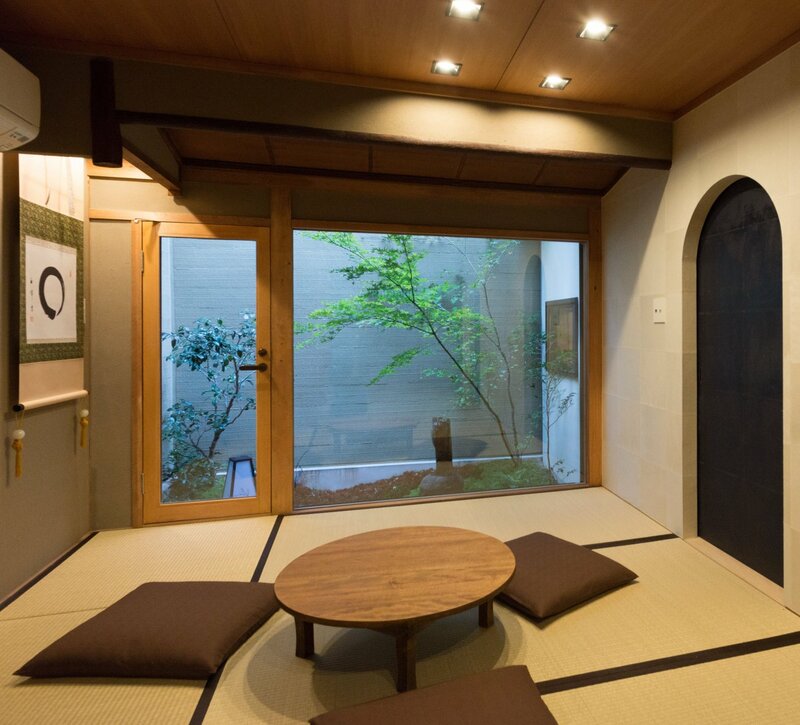 For cafe & coffee lovers, Kyoto is the best place to discover hand-drip coffee, delicious sweets & desserts.